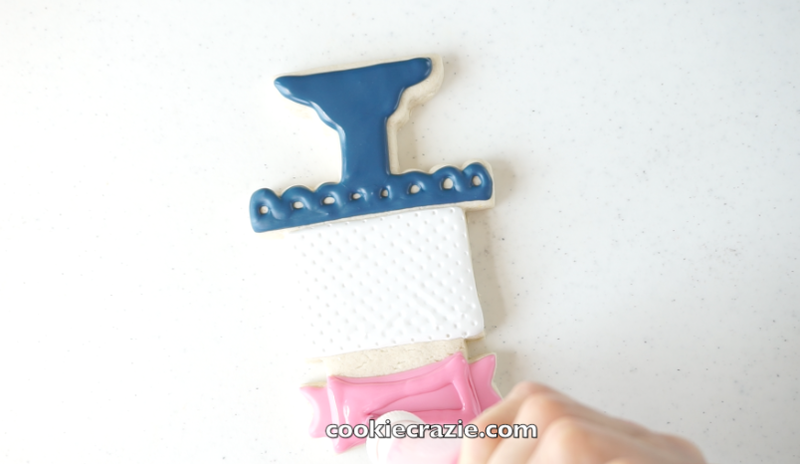 I love pedestal cake cookies.....and I found a new favorite cutter to make some cute ones. Outline and flood the cake portion of the cookie. 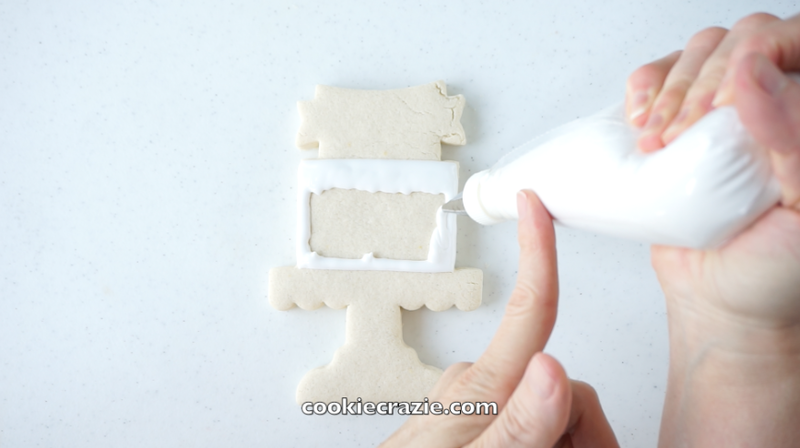 Allow the glaze to dry for at least 2 hours and then press this polka dot impression tool into the partially dried glaze. 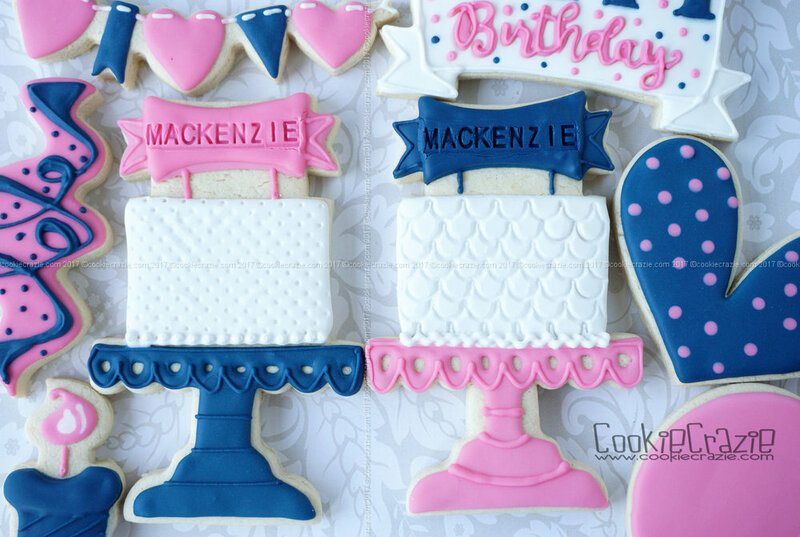 Outline and flood the top portion of the cookie (the bow/banner) in the glaze color of your choice. Add tiny lines to represent the poles holding up the banner, and an outline of the scallop on the pedestal to give it a more 3D look.